Registration IS NOW CLOSED for April Power of Business Lunch sponsored by CHELCO! 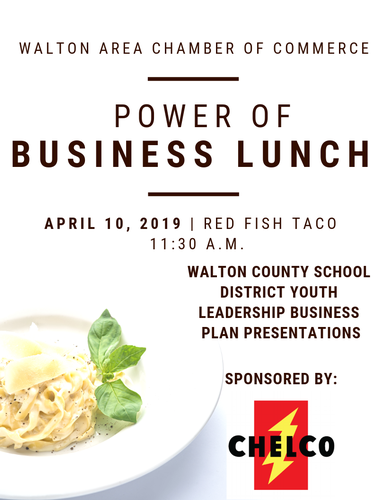 Enjoy a Shark Tank Style Entrepreneurial Project presentation by Walton County School District Youth Leadership students. Please let us know if you have any dietary restrictions.